BOJ Spends 10 Trillion Yen on Valentine’s Day! Looks like romantic couples aren’t the only ones with surprises up their sleeves on Valentine’s Day! Though the Bank of Japan kept its interest rates near zero percent yesterday, the central bank surprised markets by announcing not only an increase in its asset purchases, but also an inflation target! The Bank of Japan (BOJ)‘s first bombshell was its decision to adopt a 1.0% target for its consumer price index. Apparently, the central bank is hoping that copying the Fed’s move of adopting an inflation target would attract confidence amid the country’s uncertain economic outlook. You see, market participants have been worrying about the Japanese economy, especially since the BOJ recently downgraded its economic forecasts from a 0.3% growth to a 0.4% contraction in 2012. Not surprisingly, the euro zone debt crisis and the yen’s strong performance ranked high among the central bank’s concerns. Until the inflation target is reached though, the BOJ plans to continue to support economic growth through an extremely loose monetary policy. In fact, the BOJ also announced yesterday that it would bring in an additional 10 trillion yen into its asset purchasing program, which would boost the size of the program to a total of 65 trillion yen. From the way the yen pairs reacted, it seems that investors are taking the BOJ seriously. The yen weakened across the board following the announcement, with USD/JPY jumping 34 pips in the first 30 minutes. Heck, it even closed 86 pips higher than its open price! So how can these developments affect the yen’s outlook? Quantitative easing, even though it is aimed to stimulate the economy, is usually considered negative for the currency. Quantitative easing is a method by which a central bank increases cash supply in the economy by printing new money. The newly-printed money is then used to flood the market with capital in an effort to stoke lending and increase the amount of money in circulation. Unfortunately, by virtue of basic supply and demand, a rise in money supply usually erodes the value of each unit of currency, which might lead to higher prices. That being said, I believe that the expansion of the BOJ’s asset purchase program, together with their currency intervention policy, will continue to put downside pressure on the yen. Technical analysis also supports this, as the USD/JPY daily chart is showing some signs of reversal. The fact is, the pair had been rising EVEN BEFORE the announcement. For the yen bears, the bank’s surprise QE expansion was just icing on the already yummy cake. But if you’re bullish on the yen, then perhaps it’s time to rethink your position! 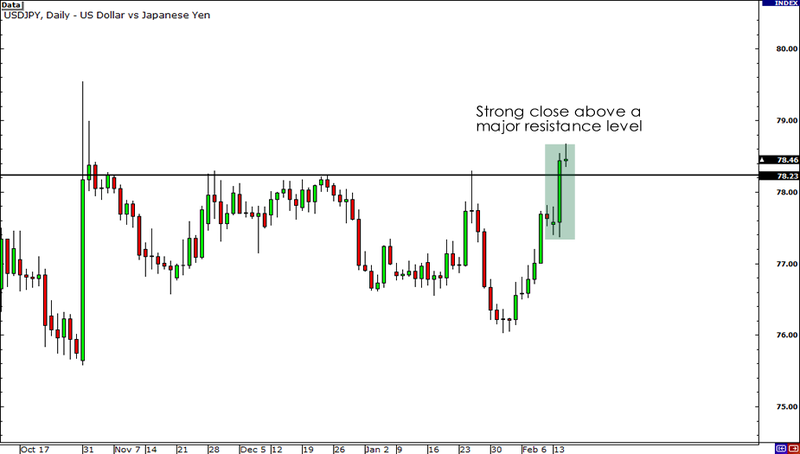 Will the yen continue to weaken?